You can find Buprenorphine-Suboxone doctors and physicians in your area who are able to prescribe Buprenorphine (Suboxone). 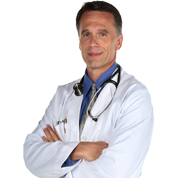 These doctors and physicians specialize in treating opiate dependence and help patients with drug addictions. If you or someone you know is a victim of drug, alcohol, or other type of addiction, you should seek a reputable drug rehabilitation center immediately. Rehab centers are effective at providing the patient the help they need through the necessary treatments to assist them in overcoming their addictions. Please call the drug and alcohol helpline located at the top of this page for further assistance. Additionally, if you or someone you care about is struggling with a possible dependence on prescription or pain medicines, it’s recommended to speak directly to the doctors who specialize in drug addictions. A substance rehab center in your town might have the solutions to the questions you've been pondering. Rehab programs are available to help you or your loved one get back on the road to recovery. There are licensed professionals in each rehab center and they have programs to facilitate the recovery. Please reach out to them now to get information on their services.